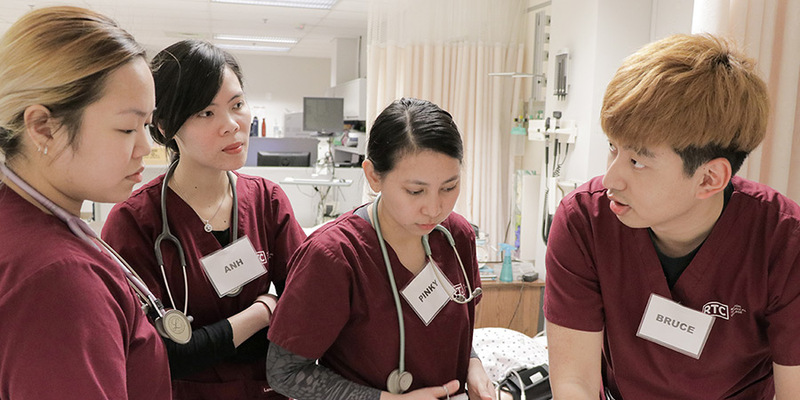 Innovative partnerships between Renton Technical College and area healthcare organizations help prepare students for success in the healthcare field – and help the organizations find qualified workers. The College has partnered with Providence to train certified nursing assistants, with Valley Medical Center to educate health coaches, and with Swedish to provide scholarships. The Health Coach program is a one-year commitment which includes a two-credit RTC training course paid for by Valley in fall 2018 and a three-quarter, non-credited community service program. If accepted in to the program, Health Coaches will have access to exclusive training and networking events with Valley Medical Center staff and providers and will qualify for $1,500 in scholarship funds to continue their education after completion. Priority Applications are due by Wednesday, August 1, 2018 at 5 p.m. Applications submitted after the Priority Application Date will be considered for on a space-available basis. Apply now. For more information, contact Colleen Bassham. The Providence Marianwood Foundation will pay tuition and fees for 10 selected students to receive free training as certified nursing assistants and the opportunity for a job after they finish classes. Students will take the five-week CNA course and do clinical training at Providence Marianwood, a skilled nursing and transitional care community in Issaquah. RTC instructors will teach the classes, which begin Sept. 24. Students have the opportunity to be hired at a Providence facility, with a starting wage of $15.11 per hour. An information session will run from 1-4 p.m. Tuesday, Aug. 21 at Providence Marianwood, 3725 Providence Point Drive S.E., Issaquah. Interested students should RSVP. The partnership meets the needs of students seeking careers in health care and Providence, which like other organizations across the country, needs more nursing assistants to serve a growing elderly population. For more information about the open house, contact Maureen Manlosa at 425-427-0176 or Maricor Lim at 425-391-2890. Learn more about RTC’s CNA program. In another partnership, Swedish Medical Center donated $15,000 to fund scholarships for nursing and pre-nursing students, with a goal of encouraging more students of color from underserved communities and men to pursue nursing careers at RTC. Scholarships of $1,000 each will be awarded to the top applicants starting fall quarter 2018. Swedish is working the Nursing program to create other opportunities for RTC students, such as visits to the Cherry Hill simulation lab, job shadows at the Renton location, and clinical opportunities to expose students to career opportunities with Swedish.